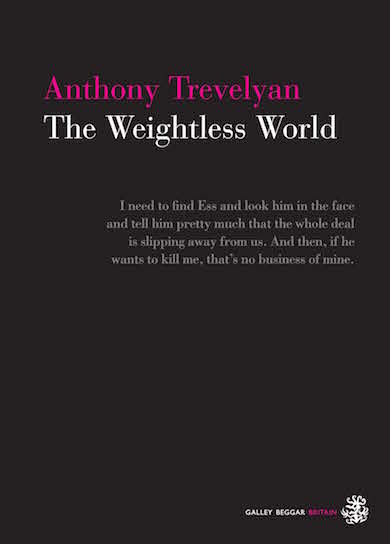 The Weightless World, by Anthony Trevelyan, tells the story of a business trip to India to purchase an anti-gravity machine. It has a slightly surreal quality. It is never quite clear how reliable the narrator may be, how much his view of the world is skewed by his mildly psychotic perceptions. That said, everyone views the world through their own, personal filters. Perhaps this is merely a more honest account of how behaviour changes depending on circumstances. The narrator, Steven Strauss, is Ess’s Personal Assistant. He is loyal to his boss but is now keeping secrets from him. Ess had a breakdown when a business deal went catastrophically wrong. He took six months off work, traveled to India, and returned with a bizarre tale of an inventor hiding out in a secret location with a prototype anti-gravity machine. Steven does not believe that such a device exists except in Ess’s troubled mind. Ess co-founded Resolute Aviation which is in serious financial trouble. A co-director has persuaded Steven to travel to India with Ess as a means of getting him out of the way. Ess has been told that he has access to company funds to purchase the rights to the anti-gravity machine which he believes will turn the company’s fortunes around. The funds do not exist. The backdrop of India is beautifully evoked with its heat, colour, economic contrasts and the duplicity of the multi national business community as it tries to capture the wealth potential for themselves. Ess hires a driver, Asha Jarwal, a highly educated woman who despises the attitudes of the westerners with their assumptions that they may profit from other’s endeavours. She despises her fellow Indians even more for allowing this to happen. Steven and Ess meet up with an American, Harry Altman, who has settled in Mumbai and has many, unspecified business interests. Steven does not trust him. Steven does not seem to trust any of the people he meets and it is unclear why. Is he being overly protective of a boss he believes is unhinged or is Steven the one with the problems? Each evening he talks with his girlfriend back home over Skype and it is as if this contact is needed to keep him grounded. The reader feels his discomfort as he is plunged into the unknown, forever questioning who he can trust whilst carrying the burden of his own role in the greed and deception. Throughout the tale there are suggestions between the lines, doubts tantalising on the side. The writing remains taut and captivating. I wanted the machine to exist as an exciting step forward for science, then feared for the consequences if it did seeing how the West would choose to use it. A story of love, friendship and loyalty, not lengthy yet gets under the skin presenting complex emotions with the lightest of touches. Both the premise and evolution are distinct and original. This book is a fabulous read. My copy of this book was provided gratis by the publisher, Galley Beggar Press. This entry was posted in Book Review and tagged Anthony Trevelyan, anti-gravity machine, Galley Beggar Press, India, The Weightless World. Finished reading already! I agree it is pacey and at times I couldn’t put it down as I wanted to know what happens next! I liked the characters, they were all real and believable.